More than 75% of the world’s poor are smallholder farmers, representing the largest and most uniform group of poor people in the world. Serving farmers in Kenya, Rwanda, Burundi, and Tanzania, One Acre Fund is a growing social enterprise that is innovating a new way of helping farm families to achieve their full potential. Instead of giving handouts, One Acre Fund invests in farmers to generate a permanent gain in farm income. We provide farmers with a complete “service bundle” that includes financing for seed and fertilizer, delivery, training, and market facilitation to maximize profits from harvest sales. Our program is proven impactful: on average, farmers working with One Acre Fund realize a 50%+ increase in crop yields in a single season, giving them a surplus harvest they can sell to make other investments. We measure success in our ability to make farmers more prosperous and we have laser-like focus on generating better lives for the people that we serve. The Case Investigator will report to our Head of Business Operations. 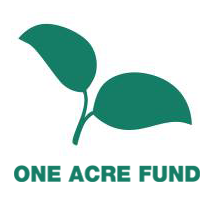 Their primary role will be to investigate and resolve internal legal cases at One Acre Fund. The position also involves being the primary contact for fraud alerts. The role will also be required to work on ad-hoc investigation pieces as deemed necessary by the head of Business Operations. The ideal candidate for this role is self-motivating and able to work independently. They will be diligent and have a good attention to detail. Experience of the legal system is preferred but not necessarily a requirement. The candidate must be trustworthy and honest with a dedication to the organisation and the team. This role will likely involve travel between Mbeya, Njombe and Iringa on occasion. Perform ad-hoc investigations alongside the Internal Audit team when there is suspicion of Internal Fraud, e.g. Salary depending on experience, qualifications, and performance in the in-person interview. This is a career-track role with raises for performance.